Without a doubt, artificial intelligence (AI) has become one of the hottest topics in town. A combination of breathless excitement and near-paralysing fear are driving the debate along with countless – often ill-informed – predictions about how the technology which will revamp our future lives. While it is far too early in AI’s evolution to understand its true potential or how quickly it will have a fundamental impact, it is already penetrating our lives. From smartphones and dating sites to web searches and driverless vehicles; it is becoming part of the fabric of life. Over the next few years, businesses, homes and schooling could be completely different with AI on the scene. At its core, AI is a type software or hardware that learns – and it could become programmed to learn mostly about us, its users. The technology is being applied to learn our habits, our likes and our relationship patterns. Just as Netflix uses an algorithm to suggest films you might watch, a similar ‘Lifestyle AI’ could help choose your wardrobe, your next meal, your job, or romantic partner. While it all sounds a bit like science fiction, the capabilities of AI tools and the range of applications are growing exponentially. Indeed, by 2020 AI could be present in some form in everything we do and, by 2030, AI is likely to have infiltrated our lives in much the same way as smartphones, the internet and global travel are now taken for granted. So, how might AI change our day-to-day existence? From one-off dates to life partners, AI could access and evaluate the array of big data being amassed about us every day. The matching algorithms could consider everything about us including our social media activity, communication styles, interests, dislikes, DNA profile, medical records, walking speed, aspirations, and relationship history. The systems would help find the right intellectual, emotional, physical, and spiritual match, maybe even determining how long a marriage is likely to last and advising on whether we should even consider longer term relationships. Some companies are exploring the idea of monitoring employees’ social media activities to determine if they may be partying a little too hard tonight and thus likely to call in ‘sick’ tomorrow. Knowing in advance would allow for cover to be arranged – this is of particular interest to customer contact centres which need to maintain certain staffing levels to achieve their service targets. Indeed, employers might even offer staff ‘party days’ – where they can accrue extra hours which can then be used to sleep it off the morning after a big night without it affecting their pay or employment records. The entire set of activities described above could all be conducted by AI with no human intervention. There is a growing incidence of pre-clinical and clinical level mental health issues across the developed world. From workplace stress to full breakdowns and a range of other conditions – people are struggling to cope with the pressures of modern life. To help address this, AI tools on our phones and computers could monitor everything from our speech patterns and keyboard strokes to an array of medical indicators captured through body worn devices and implanted sensors. 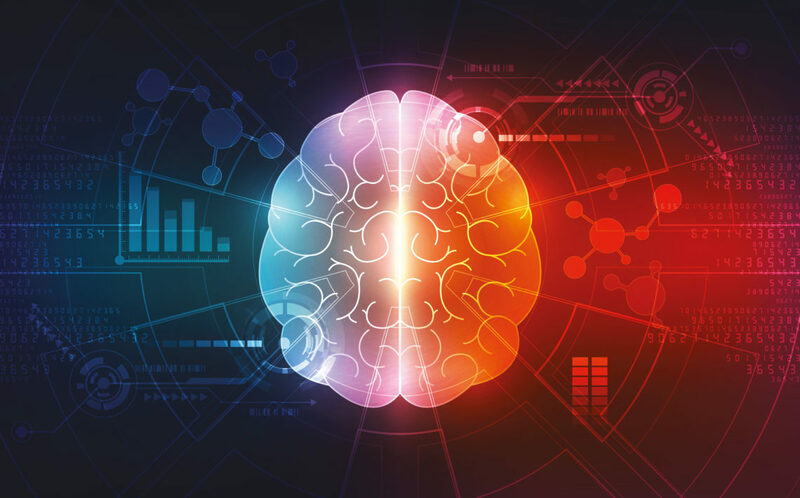 From early detection of possible issues to providing background guidance during stressful calls and conversations – AI could help manage our mental health. More advanced systems might go so far as to shut down all functionality of our phone and not re-activate it until we have done some meditation or taken a walk. The system could provide our doctors with regular updates on our condition and call in special medical assistance in emergencies. Our AI could become a sort of conscience, reminding us of right and wrong at every turn. This could work on both the individual level (should I lie on this job application? ), and at an organizational scale (should we rip off this customer?). Not only might AI be deployed as a form of monitoring or ‘truth detecting’ technology that sets off alarms at the source of any mistruth, but data could also become so ubiquitous and verifiable that it won’t pay to lie. Along the same lines, crimes of all kinds could become much more difficult to commit. Indeed, law enforcement could eventually get bored and look for something else to do – possibly investing the time in strengthening community engagement. The in store or ‘on App’ AI mirror could show you what you might look like in different colours and sizes of the same dress and under different lighting conditions – simulating work and leisure settings. Knowing your wardrobe, usage patterns, accessorising approach and changing fashion interests, your AI could call ahead to the store to have a range of suitable items waiting for you with a human or robotic personal shopper to assist you. When wracked with doubt over whether to make a purchase, your AI could call in the advice of your friends for trusted instant opinions. The ability of AI to help us understand ourselves and learn could lead to lives filled with learning. The ‘unexamined life’ could become obsolete—it may one day be legally impossible to avoid the constant ‘big brother’ data gathering and feedback about one’s daily progress against officially defined or personally set physical, emotional, mental, and spiritual development goals. The absence of such goals or tracking information might indicate antisocial tendencies. Everyone might be expected to make full use of AI to become better students, employees and friends. The gathering of data to improve one’s performance in every area would be viewed as a must-do, otherwise, what’s the point of collecting it – or indeed – what’s the point of living in an organised society? The days when someone could take a few days off the grid and disconnect from everything may be coming to an end. For AI to really know its user, the blanket of visible and hidden data collecting sensors that enshroud us must be on and working everywhere and around-the-clock. While you could be physically alone, your digital footprint could reveal your whereabouts in a microsecond. Privacy issues may arise if terms and conditions are not properly established, and security systems will remain vulnerable to hacking. Even in this scenario, it is very likely that you could still be ‘allowed’ to voluntarily turn off your AI, but that alone would be a red flag that might trigger further and more in-depth scrutiny of your behaviours. Many current cases could be directed away from the courts to be resolved by AI judges. For example, in divorce cases, employment tribunals, industrial injury and many customer-supplier disputes, judges today are largely applying standard formulae to determine settlements. With AI, a much larger volume of precedents could be considered in a fraction of a second to find the cases that best resemble the current one. Hence greater consistency could be achieved across the country in the resolution of similar disputes. In more severe cases such as robbery, murder or violent crimes, data could be collected and analysed from the IoT array of sensors built into everyday objects such as furniture, clothing and electronic appliances. If the TV room surveillance camera, the sensors in the sofa and your mobile phone AI all say you committed the crime, then AI might be able to resolve the case faster and more cheaply than a traditional court room. A jury might still be involved but the AI would be providing them with more consistent, up to date and precise guidance than any human could ever hope to achieve. Consumer AI will enable wave after wave of automatable functions in the home. When combined with appliances, AI could make housework and household management seamless. AI-powered apps which allow the oven to communicate with the refrigerator and the pantry robot would act like home chefs. Instant replenishment of food and supplies would mean never running out of anything again. Cleaning could be run on appliance to appliance (A2A) scheduling, which robotic cleaners then conduct almost completely independently of humans. One of the advantages would be a reduction in household waste, as AI would aim for efficient use of all products and to perfect the recycling habits of the consumer. Putting the household in better balance with the ecosystem and releasing humans from housework could deliver major benefits in terms of sustainability, time saving and less domestic stress – at the cost of constant in-home surveillance. With all the assistance that AI could provide at work and home, humans might suddenly find themselves with an abundance of leisure time. However, it seems more likely that new expectations could become set and that new activities would emerge. However, there may need to be a trade-off: just as the introduction of mobile phones made us all available on the go so we could be more productive and ‘always on’, it also invaded our private and recreational time. Hopefully, the new possible activities would be driven by passion, curiosity and inspiration rather than productivity. Previous industrial revolutions have favoured mass production over personalisation – mainly because of the costs of customisation. With the introduction of AI and 3D printing to manufacturing processes, a new generation of adaptable production machinery and control software would lower the cost of delivering more customisable products. Today, Amazon and Google use search algorithms to prioritise the results that they believe best match your digital profile. In future, AI could order a unique cereal that would match your desires and diet requirements for the following two weeks. Adoption of AI could enable individually tailored products and services to replace generalised market segmentations. Communities may be better organised since AI could monitor and analyse the ‘health’ of the community – covering everything from environmental indicators through to levels of crime, engagement in public spaces and discussions on web boards and social media. Community planners could harness the intelligence of AI for optimal planning, ensuring that public works and services are available where and when residents need them. For example, AI mapping might help planners identify and predict faster that an area with a rapidly growing population will soon lack sufficient access to schools, health facilities, libraries, and even a fresh food markets. Community managers might send mobile classrooms, GPs, libraries, and fresh food trucks to those areas, or help reorganise the community to self-provision some of the missing essentials. Environmental conditions may improve by using AI and sensors connected through the Internet of Things (IoT) to help monitor the local and even global environment. Sensors may constantly feed AI software that records and analyses the latest local environmental data on factors such as air and water quality. Based on AI predictions and recommendations, commuters may be redirected to public transport or to use reduced emission roads on certain days. In addition, trees and greenery might be planted in specific areas to reduce soil erosion and decrease potential flooding, while entire cities may be redesigned to lessen overall environmental impact on the planet. Artificial intelligence could be the brain behind future travel and transport planning. Smart tools might evaluate travel preferences in different circumstances and match them against the travel options available. Should I drive, take an Uber, or the train? Should I fly and where from and to? What connections do I need to reach my destination? How can I make all my business meetings on Friday and still be home in time for my daughter’s school play? What is the greenest and least environmentally impactful route I can take? For a long time now, the criticism of many primary and secondary education systems around the world has been that they are preparing students to pass examinations and not for the world of work they will be joining; especially a world that is evolving rapidly. Artificial intelligence could replace the technical information delivery role currently undertaken by teachers. Each student could be specifically monitored by AI on a range of subjects designed to prepare the student for the future world of work. No longer will all students work to the same or similar curriculum through all 11 years of primary and secondary education. Instead they would have a carefully planned and constantly monitored, evolving and personalised programme. This would be designed to stretch and develop each student with the skills he/she needs for the expected types of jobs or further education landscape they might encounter at 16 years of age. Students will still need someone in the classroom, but maybe the human ‘teacher’ is responsible for helping advise on research strategies and problem-solving approaches, encouraging group working and collaboration, nurturing individuals, providing emotional support, and helping the students develop the social skills required to enable each to play a full role in the emerging world – served by the machines – thus ensuring every individual a very human future. Rohit Talwar, Steve Wells, April Koury, Alexandra Whittington, and Maria Romero are futurists with Fast Future, which specialises in studying and advising on the impacts of emerging change. Fast Future also publishes books from future thinkers exploring how developments such as AI, robotics and disruptive thinking could impact individuals, society and business and create new trillion-dollar sectors. Fast Future has a particular focus on ensuring these advances are harnessed to unleash individual potential and enable a very human future. See: www.fastfuture.com. ← Do you really know how good, or bad, you are at your job?